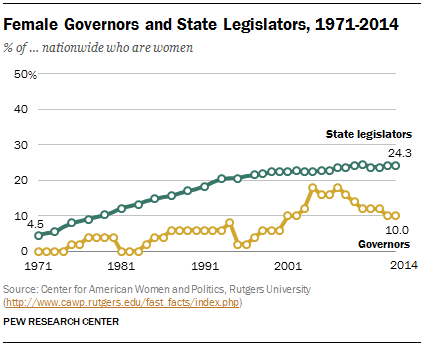 The number of female governors, however, has shown a consistent decrease sometime after 2001 and the number of state registers has leveled off around the same time. Having more women in government brings something that is unique to all marginalized populations - perception. This is not to say that men cannot be supporters of women's rights and equality, but rather that women bring with them experiences shaped by laws, stipulations and biased that influence their ability to succeed. 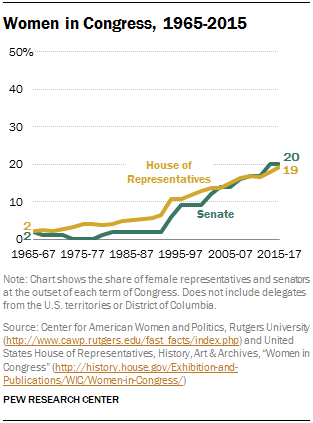 Having a disproportionate number of female representatives in government means that laws for women are being passed without enough representation to really dive into the repercussions they'll have on the populations they look to serve.